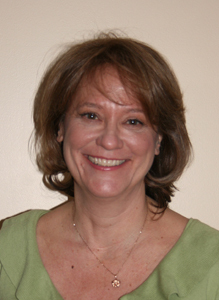 Karen Wexell is a passionate holistic nurse leader, educator and practitioner with over 25 years of nursing practice. She lives along the CT shoreline and enjoys hiking, biking and kayaking along the trails and beaches. She is a graduate of Lankenau Hospital School of Nursing in Philadelphia in 1986, received a BSN from Central CT State University and MSN form the University of Harford. Her passion for mind body medicine and holistic nursing drew her to The BirchTree Center for Health Care Transformation where she received a Certificate in Integrative Nursing through the Integrative Healing Arts Program in 2010. Her experience includes travel nursing, critical care nursing, toxicology as a Certified Poison Information Specialist and professional education. Karen is certified as a Holistic Nurse, Holistic Stress Management Instructor, Pranakriya Yoga Instructor, and as both a Reiki and Healing Touch practitioner. She became interested in the ‘M” Technique as a way to introduce the art of nursing back into the high tech health care environment. She strives to educate students and staff about intentionality through touch and therapeutic presence. Students are introduced to the “M” technique as a way to connect, communicate and form a therapeutic relationship with patients. Karen is dedicated to nursing education and sought after as a speaker with expertise on the subjects of Holistic Nursing and Mind-Body-Spirit Medicine and Stress Management. She strives to promote the development of personal resiliency with holistic life skill development through dynamic interactive presentations, workshops and University coursework.